This post was originally published at Simple Organic. 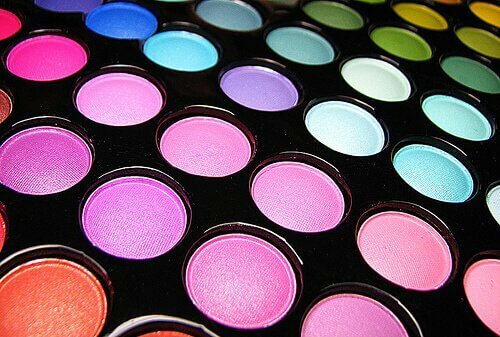 But aren’t chemicals and ingredients in beauty products regulated? Aren’t these small amounts of toxins fairly harmless? Once again, the answer is unfortunately no. To best answer this question, I’m going to defer to this incredible series of 3 short videos titled “10 Americans”, put out by EWG. 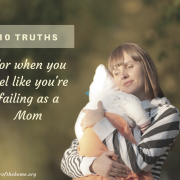 You will be absolutely stunned by the findings of this research project and the implications that it has for us, women and moms desiring to be informed and careful consumers. Also of interest is this study Teen Girls’ Body Burden of Hormone-Altering Cosmetic Chemicals. 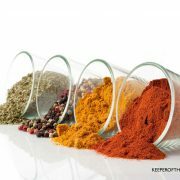 What types of ingredients should be avoided? 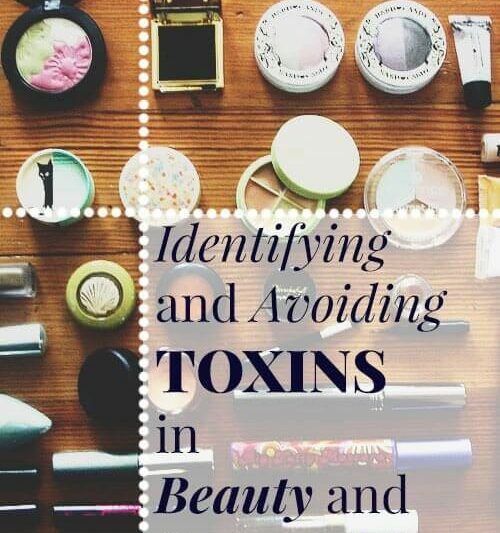 I’m going to work through most of the typical beauty care products that we women use, and list some of the most dangerous and common toxins that they contain. 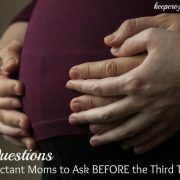 My lists aren’t exhaustive, but they do include most of the major offenders. 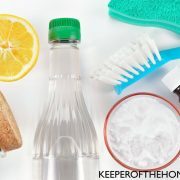 A highly worthwhile activity would be to gather up your most-used bathroom products, and compare their ingredients to these lists. To understand more about why a specific chemical is considered harmful, visit the Skin Deep Cosmetic Database, and type in the name of the chemical. It will tell you health concerns associated with that chemical, and where that information comes from, as well as give you a rating on a scale from 1-10. Silica/Crystalline (or Quart or Rose Quartz), Propylparaben (or Butylparaben or Methylparaben or any paraben), Aluminum Power, PEG-40 Hydrogenated Castor Oil, Fragrance, PEG-4 Diheptanoate, BHA, D&C Red 30 Lake (this is one example of an artificial color– most come up highly toxic), Retinyl Palmitate (Vitamin A Palmitate), Alumina, Octinoxate, Ferric Ammonium Ferrocyanide, Benzyl Alcohol, BHT, Polyethylene Glycol, Manganese, Barium Sulfate, Oxybenzone, DMDM Hydantoin, Triclosan, Aluminum Starch Octenylsuccinate, Steareth-21, Cetyl PEG/PPG-10/1 Dimethicone. BHA, Fragrance, Butylparaben (and again, all of the parabens), Octinoxate, Retinyl Palmitate (Vitamin A Palmitate), Methylchloroisothiazolinone, DMDM Hydantoin, Coumarin, Geraniol, Limonene, Triethanolamine, Sodium Laureth Sulfate (almost anything with Laureth or Laurate in it), Cocoamide DEA, BHA, Resorcinol, P-Phenylenediamine, P-Aminophenol, Cocamidopropyl Betaine, PEG-80 Sorbitan Laurate, Salicylic Acid, Ceteareth-12, Benzyl Alcohol, PEG-10 Sorbitan Laurate. *Note– Don’t be taken in by “natural” products without still reading the ingredients. I did my ingredient research by looking up products with a rating of 10 (the most-toxic) and I found J/A/S/O/N shampoos in there, a supposedly natural brand! Fragrance, Ceteareth-12, Ceteareth-20, Triclosan, Coumarin, Lilial, Methylchloroisothiazolinone, Limonene, Propylene Glycol, Isobutane, Benzyl Alcohol, Zinc Oxide (sunscreen grade), Eugenol, Benzyl Salicylate, Butane, Aluminum Chlorohydrate, 4-Methylbenzylidene Camphor. DMDM Hydantoin, Fragrance, Ceteareth-20, Retinyl Palmitate (Vit A Palmitate), Octinoxate, Cocamide DEA, Methylparaben, Propylparaben (and all other parabens), Triethanolamine, Sodium Laureth Sulfate, Coumarin, Salicylic Acid, Lyral, PEG-40 Hydrogenated Castor Oil, Cinnamal, BHT, Eugenol, Oxybenzone, Benzyl Alcohol, Benzyl Salicylate, Benzalkonium Chloride, Hydroxycitronellal, Diazolidinyl Urea. Fragrance, Retinyl Palmitate (Vit A Palmitate), Salicylic Acid, PEG-40 Hydrogenated Castor Oil, PEG-100 Stearate, PEG-40 Stearate, PPG-2-Cetearathe-9, PEG-7 Glycerol Cocoate, Benzyl Salicylate, Methylchloroisothiazolinone, Geraniol, Limonene, Polysorbate-20, Laureth-23, Ceteareth-20, Triethanolamine, Sodium Laureth Sulfate, Cocamidopropyl Betaine, Polysorbate-60, Eugenol. Toluene, Triphenyl Phosphate, Ferric Ammonium Ferrocyanide, Benzophenone-1, Dibutyl Phthalate, Aluminum Powder, Octinoxate, Barium Sulfate, Tartrazine, BHT, Formaldehyde, Oxybenzone, Alumina, Isobutylphenoxy Eopxy Resin. Fragrance, Retinol (Vitamin A), Octinoxate, DMDM Hydantoin, Butylparaben, Propylparaben (and again, all parabens), Triethanolamine, Polysorbate-20, Retinyl Palmitate (Vit A Palmitate), Phenoxyethanol, Polyethelene Glycol, Geraniol, Limonene, Isobutane, Propane (this one surprised me! ), Diazolidinyl Urea, PEG-40. Fragrance (hmm, a theme), Sodium Fluoride (of course, there is debate over whether this is toxic or not), Retinol (Vitamin A), Propylparaben, Aluminum Hydroxide, Hydrogen Peroxide, FD&C Blue 1 Aluminum Lake (another example of a coloring), Sodium Lauryl Sulfate, Cocamidopropyl Betaine. Oxybenzone, Retinyl Palmitate (Vit A Palmitate), Fragrance, Propylparaben, Octinoxate, Diazolidinyl Urea, BHT, Lilial, Benzyl Salicylate, Limonene, Ceteareth-20, Tartrazine, Geraniol, Citral, Lyral, Coumarin, Amylcinnamaldehyde. Now that you know, what should you do? Most of us would be both overwhelmed and utterly broke if we tried to suddenly replace all of our beauty care products in one fell swoop. That’s not what I would recommend. Instead, pick one that you are most concerned about or that feels reasonable to replace. 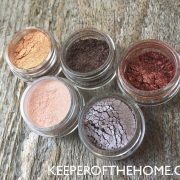 Research some better brands on the Skin Deep Cosmetic Database, try visiting your local health food store for some options, or consider making your own replacement (see below). Once you’ve found a replacement that you’re happy with, consider what you might like to replace next. 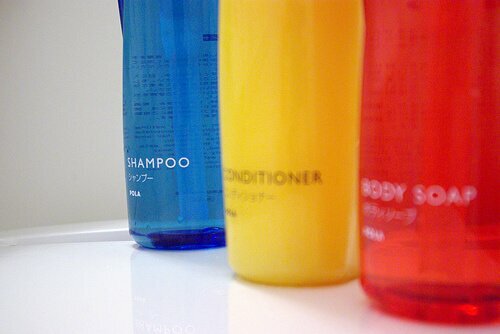 One at a time, little by little, you will slowly transform your beauty care routine into a non-toxic, pampering affair. 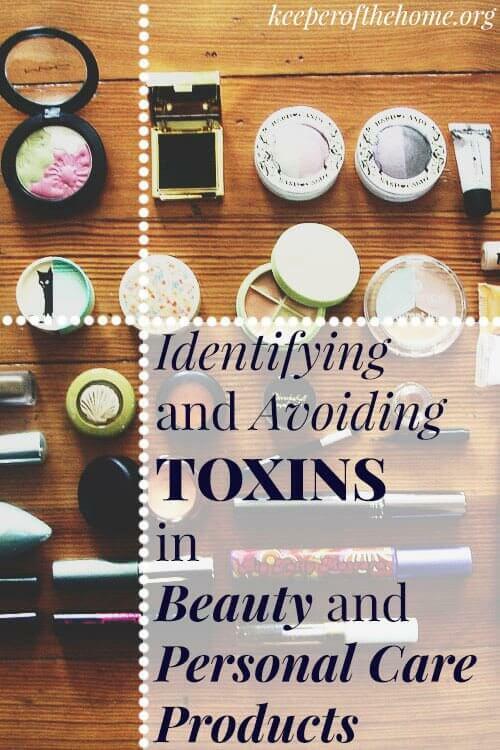 How do you avoid toxins in your beauty and personal care routine? 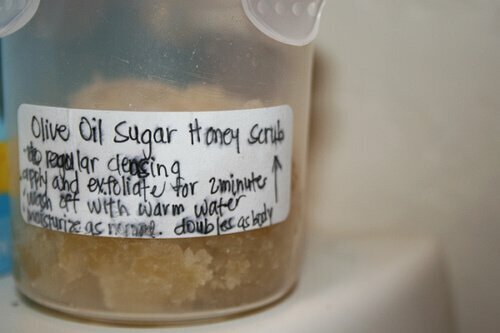 What types of products do you use? Maty’s Healthy Products Giveaway: Win a $50 Gift Certificate for Natural Cold Cures (and a bonus $50 gift card to Walmart)! Thanks for helping to spread the word educate people on hidden toxins! Thank you for sharing this information. 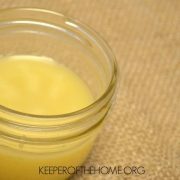 I have been trying to replace my store bought products with my own homemade products as I find recipes I think are healthy. I have researched different people online on youtube who make their own products but when you go to the not so nice comments then you start questioning the information given. How do you ever know what information is correct out there and what companies to buy from?